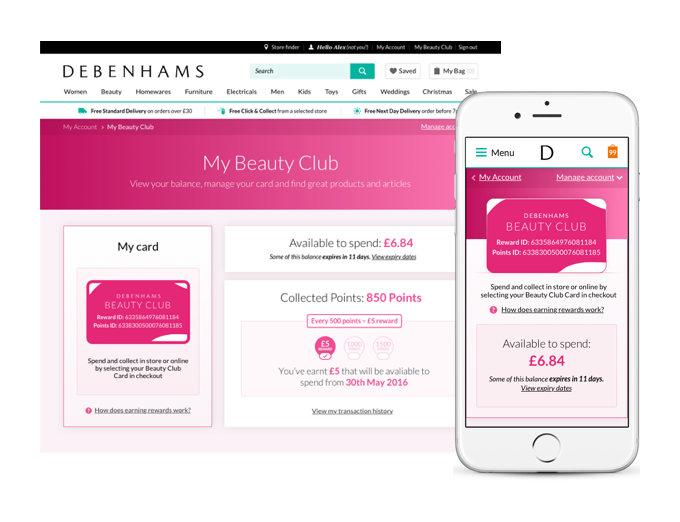 Before this Beauty Club project took place, the only way customers could get a Beauty Club card was to go into a Debenhams store and pick one up. There was an online portal customers could use, however this sat outside of debenhams.com and customers had to use different details to their Debenhams account to log in - which resulted in a large & of calls to our customer call centre and was a huge pain point. The aim of this project was to improve the Beauty Club proposition online. 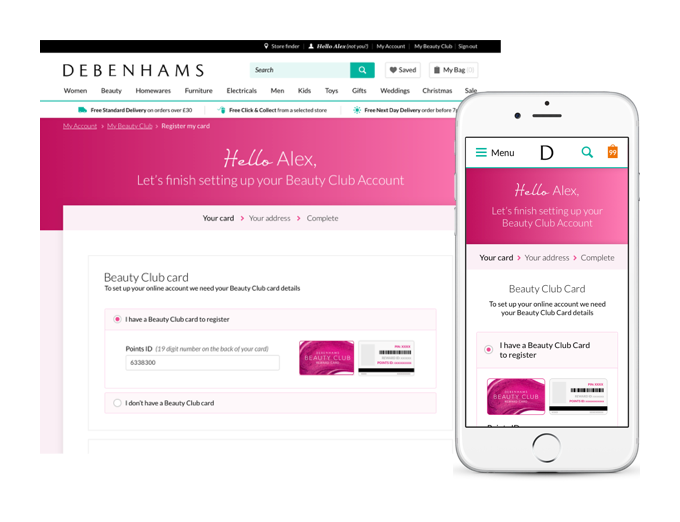 The first goal was to move Beauty Club over to debenhams.com and integrate the Beauty Club online account with the customers Debenhams account. The second goal was to allow customers to easily register for a new card online which we would then send them through the post - preventing them having to go into store to pick up a card. The third goal was to improve the Beauty Club dashboard and allow customers to easily keep track of their earnt points and how much they have to spend. With a large focus on responsive cross-device design and a mobile first approach - this project works seamlessly across devices.